It is thought that the information about Tokyo Olympic Games is somewhat inconvenient because informations are dot in various media, so not easy to get exact informations about Tokyo Olympic Games synthetically. Therefore, Tokyo Olympic Japan, this web site aims to get the information about Tokyo Olympic Games collectively and efficiency. 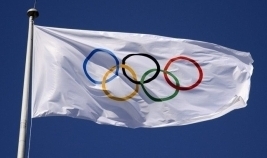 Tokyo Olympic Japan recognizes the importance of personal information with thoroughness of the protection. Personal information is used, managed and protected appropriately. Copyright (C) Tokyo Olympic Japan 2020, All Rights Reserved.